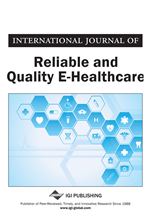 Can a Mobile Video Communication Improve Patient Safety in Prehospital Emergency Medicine? Patient safety is an integral part of medicine and efforts are made to further increase it. However, some areas of medicine are prone to limitations in patient safety; prehospital emergency medicine being one of them. Prehospital emergency medicine treats acute illnesses or life-threatening conditions, therefore affecting the entire population and having huge socioeconomic impact. Some of the factors threatening patient safety are inevitable. Emergencies are by definition time-critical, thus, requiring fast decision making and start of therapy. M-Health offers an opportunity to support this decision making. In this project, funded by the European Union, a mobile high-definition video-connection in real-time was used, to support emergency personnel at the emergency site by a remote expert. This video-communication could balance some factors threatening patient safety, which occur in prehospital emergency medicine.